Karr, Ruthann “Pierce” 68, peacefully entered the gates of heaven on April 27th, 2016. Ruthann was born in St. Louis, Missouri on July 17th, 1947. 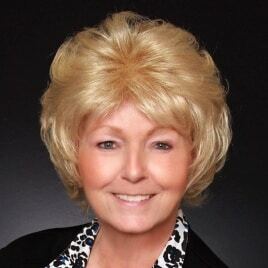 Since June 1977, Ruthann worked as a real estate agent for then Ira E. Berry and now Coldwell Banker Gundaker. She was a Lifetime Achievement member and a part of the Lifetime Million Dollar Club. Her hard work didn’t stop there, for 31 years Ruthann helped with fundraising for the Ronald McDonald house, she devoted her time serving many through the St. Catherine Laboure food pantry, a parish in which she held near and dear to her loving heart. Ruthann also served as a volunteer at St. Vincent DePaul. Ruthann was a wonderful person who showed love to everyone she came in contact with. She was caring and beautiful inside and out. She loved life, her family, and her friends. Ruthann is survived by her highschool sweetheart and loving husband of 51 years, Gary J. Karr,Sr.,dearest sister, Lu (Jim) Arnold , dearest sister,Kathy (John) Steel, dearest daughter, Veronica (Hector) Fernandez, dearest son,Gary J. (Yuki) Karr Jr., dearest son, Michael J. (fiancé Tina) Karr,and loving grandson’s Nicholas Karr, Brendan Yoon, Grant Karr, and Nikolas Gilic. Ruthann is preceded in death by her loving mother, Lillian Pierce,loving father Ernest Pierce, and loving brother Ernest Pierce,Jr. Services: Funeral from KUTIS AFFTON CHAPEL, 10151 Gravois, Monday, May 2nd and mass for 10:00 a.m. on Tuesday, May 3rd at St. Catherine Laboure Church. Interment Resurrection Cemetery. Visitation hours for May 2nd are from 2-8 p.m.In Lieu of Flowers, donations can be made on Ruthann’s behalf to St. Catherine Laboure food pantry or the Ronald McDonald House. God bless! Healgrief has a memorial to share with you. https://healgrief.org/ruthann-karr/ We invite you to express condolences, share special memories and photos and light virtual candles to honor and celebrate the life of our loved one. We also invite you to share this with others who may want to be notified as well. You may do so by sharing the link or by clicking the “Share this Memorial” button from within the memorial itself.